Adelaide-born pastry chef and well-seasoned traveller Keva Freeman is the face of Sucre Patisserie, which has been in business since 2015. Chasing her dream to be in the pastry-making business since the age of 17, Keva has taken a lot of time and effort to perfect her skills of making all those with a sweet tooth salivate over her pastries. Keva has been in the pastry-making business since she was 20, where she undertook apprenticeships within Australia as well as in France, Scotland, and England. 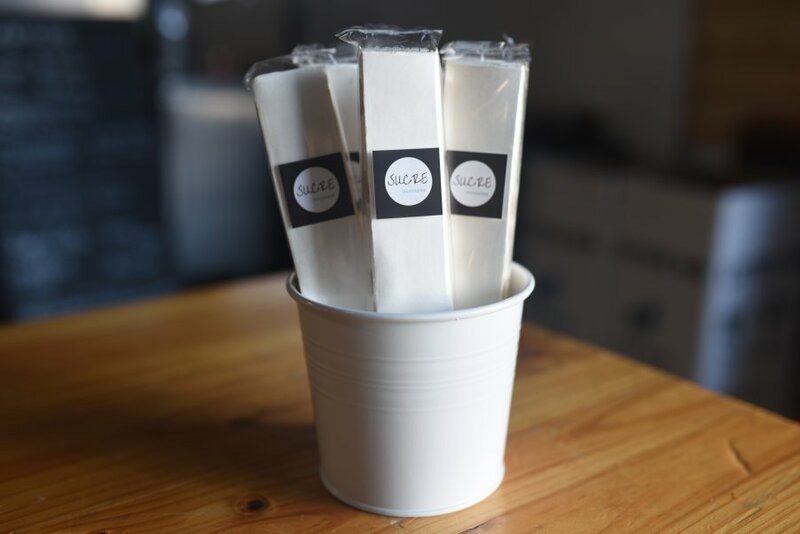 Sucre Patisserie may not have a physical store that you can visit, but the business is primarily run through social media platforms such as Facebook and Instagram. 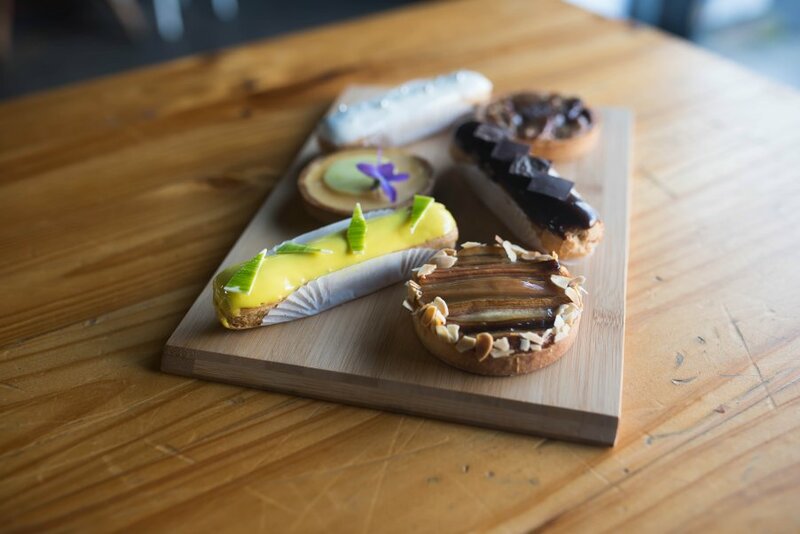 All the pastries made here use SA produce, so you can be guaranteed to be supporting our local farmers when you purchase and consume products from Sucre Patisserie. As Sucre Patisserie relies on seasonal produce, keep your eyes peeled and check out the pastries that will have ingredients that are in season at the time. The team at Adelaide Food Central was invited to taste-test some of the yummy baked goodies that Sucre Patisserie was selling at the Flinders Street Market. There are tarts, éclairs, and macarons to choose from. We tried the chocolate tart, which had a rich and indulgent taste of cocoa. The éclair and tart had a beautiful citrusy tang to it with a subtle sweetness factor. The macarons had caramel in varying textures and flavours, all of which made these perfect-looking macarons thoroughly enjoyable with every bite. 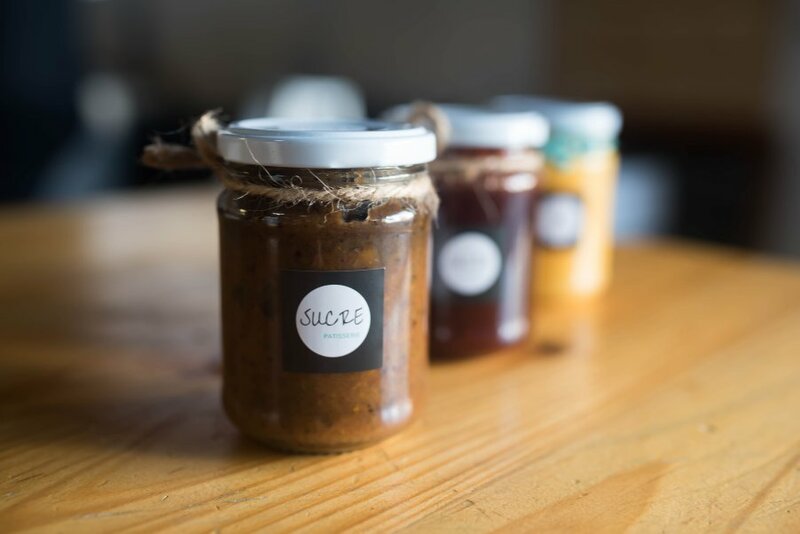 It looks like Sucre Patisserie has got a lot of success ahead of it, as the business will be starting off appearing in our local markets in and around Adelaide, including the Finders Keepers Market and Flinders Street Market. Make sure you keep up with their updates on their social media platforms and say hello to Keva if you see her at a pop up stall in the Markets – she’s an incredibly sweet person with an equally sweet skill of bringing smiles to our faces with her tasty pastry treats!